Our company, Barcelona Guide Bureau, will participate in the summit ‘Barcelona Global Summit: Innovation in urban tourism’. The first edition of this international congress will be celebrated on March 21st with the aim of proposing an agenda with concrete solutions to improve the management of tourism in the city. “Stop talking about the problems of tourism in Barcelona and start thinking about solutions” is the motto of Barcelona Global, a private entity created seven years ago to turn Barcelona into a pole of talent. “We need a targeted debate on the Barcelona tourist model, a debate that will stop talking in a trade union way and have the greatest possible transversality,” said President of Barcelona Global, Gonzalo Rodés. That is why the congress has the participation of a multitude of agents in the sector, as far from each other as possible, such as Airbnb and the Gremi d’Hotels de Barcelona (Barcelona’s hotel association). “In the end we all want the same thing: to be a good destination,” added the vice president of Barcelona Global, Pau Guardans. Along with Barcelona Guide Bureau there are other companies and institutions that will participate in the congress like Caixabank, Laie, Hotusa, La Sagrada Familia, HI Partners, BGB, Abertis and eDreams. As Gonzalo Rodés said: “This diversity of sectors, companies and sensitivities is a sign of the transversality with which we are working to present a battery of proposals that reinforces the relationship between tourism and the city,”. According to its promoters, the Barcelona Global Summit wants to be an opportunity to reflect on the model of tourism management in the city as “an engine of economic development, well-being and international projection of the city and its neighbors”. 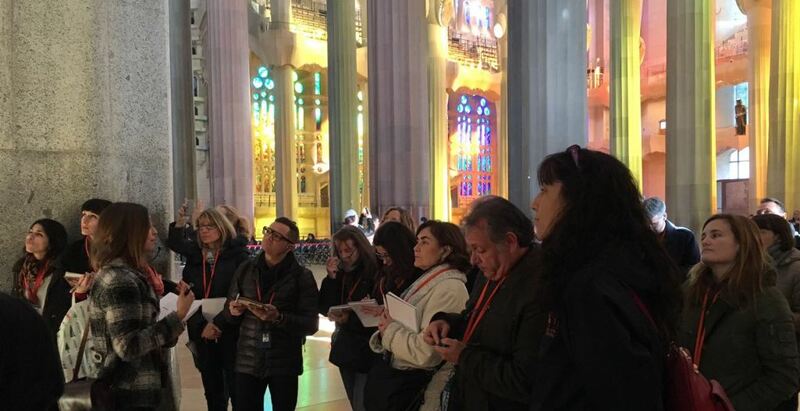 The association claims tourism as a strategic activity in Barcelona, ​​which adds to other assets of the city as “entrepreneurship, science or culture”. The promoters of the congress have pointed out that tourism accounts for 15% of Barcelona’s GDP and 10% of employment. “Given the negative externalities of tourism we can react in two ways; one is to attack the sector, a frivolous and irresponsible attitude, or look for solutions and manage it, “said Guardans. “If the growth is not managed, we can only see the negative effects, and this management must be done in a transversal way,” he said.